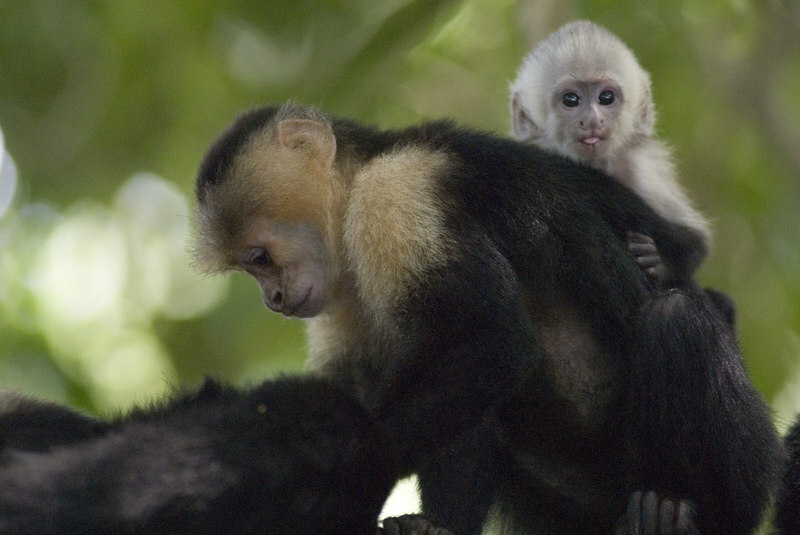 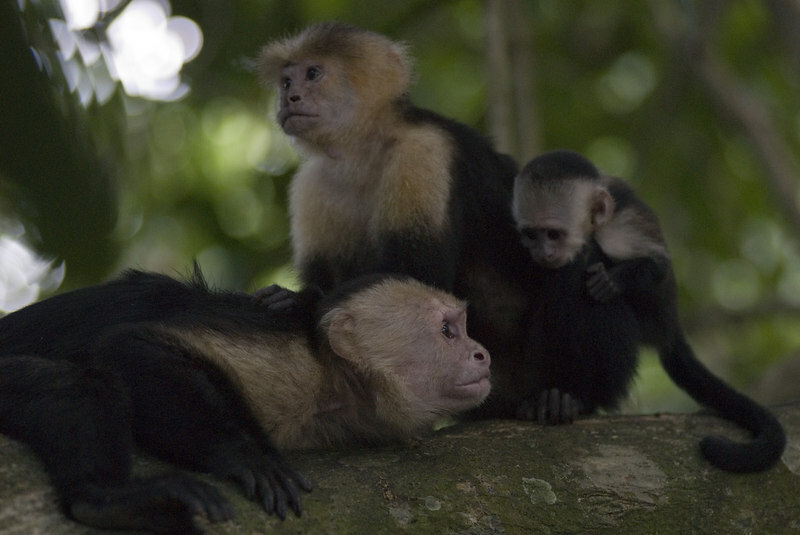 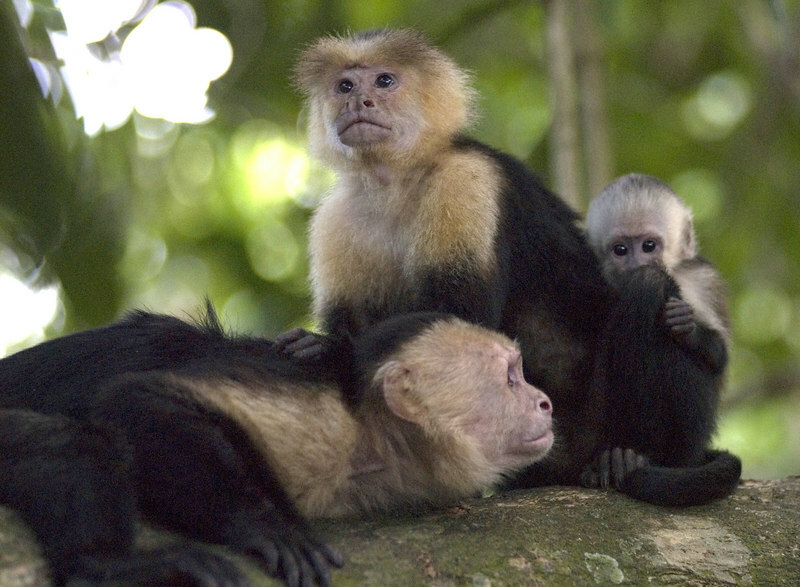 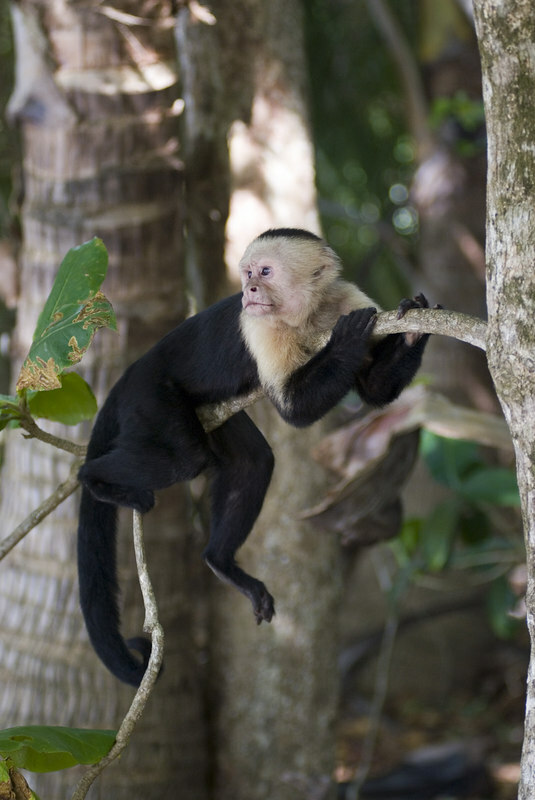 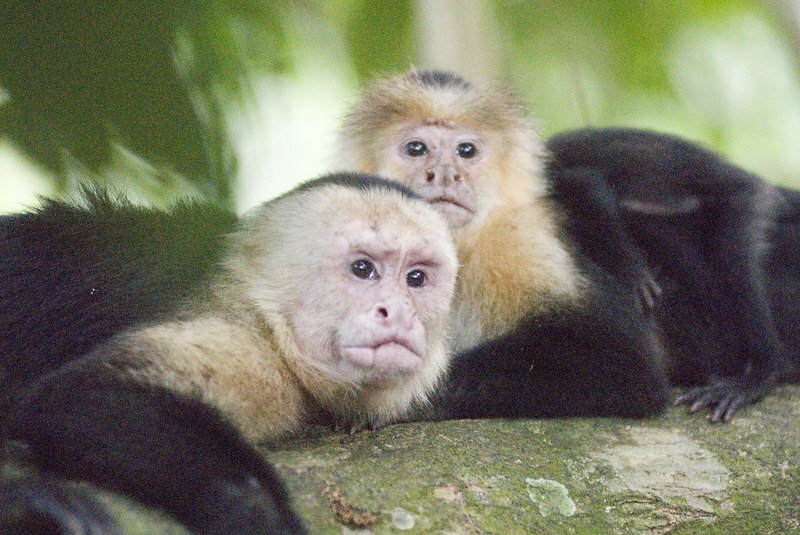 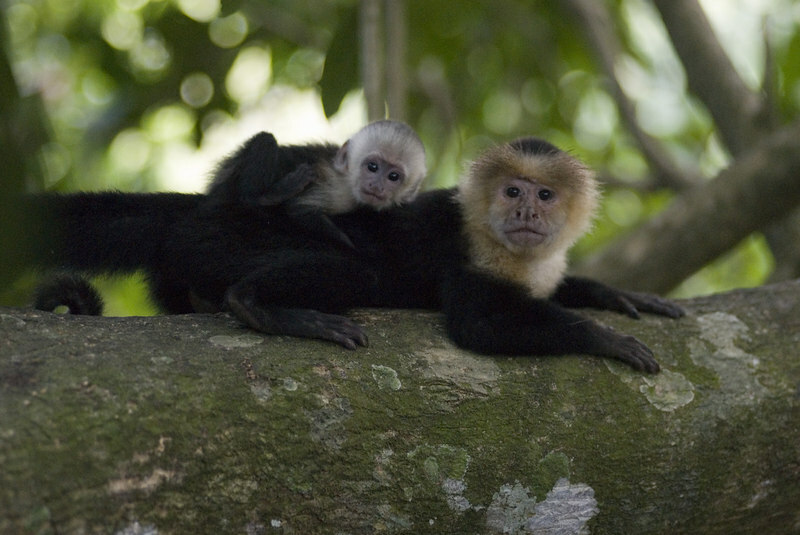 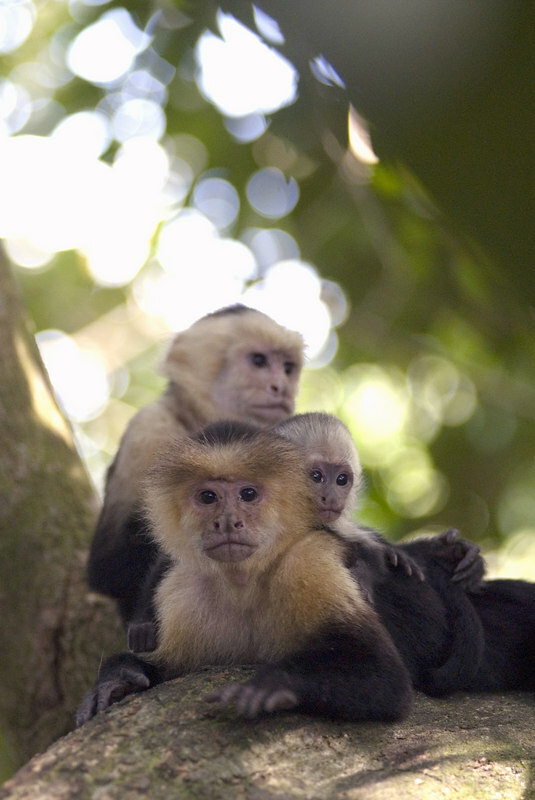 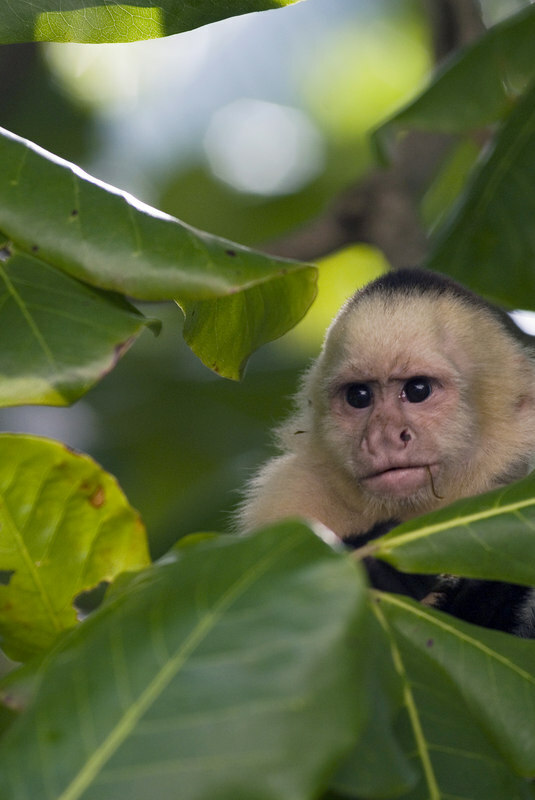 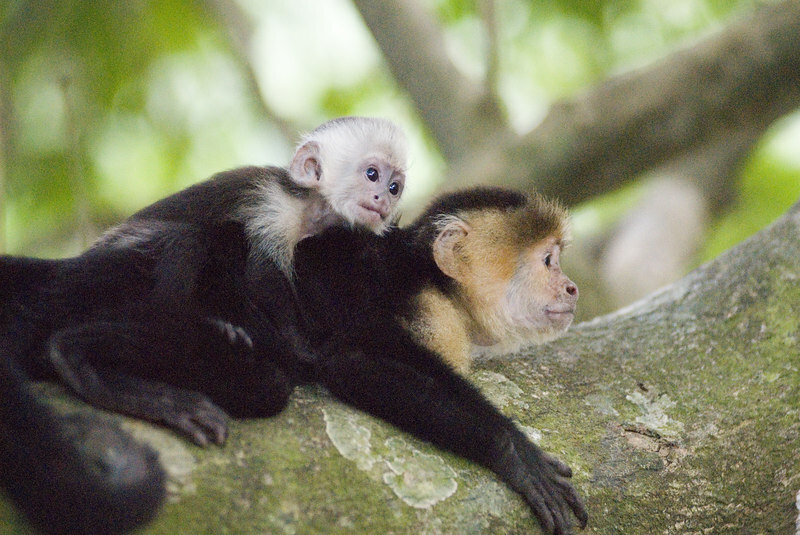 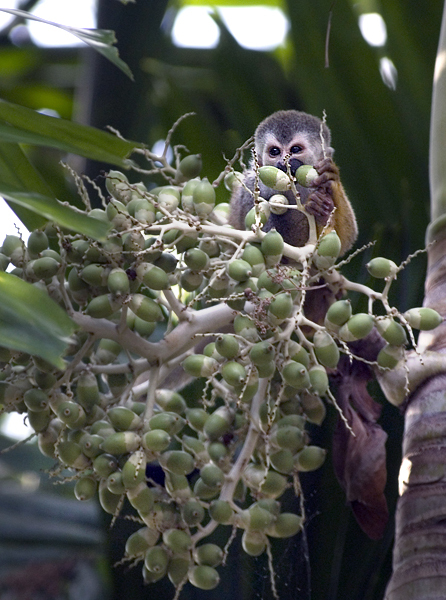 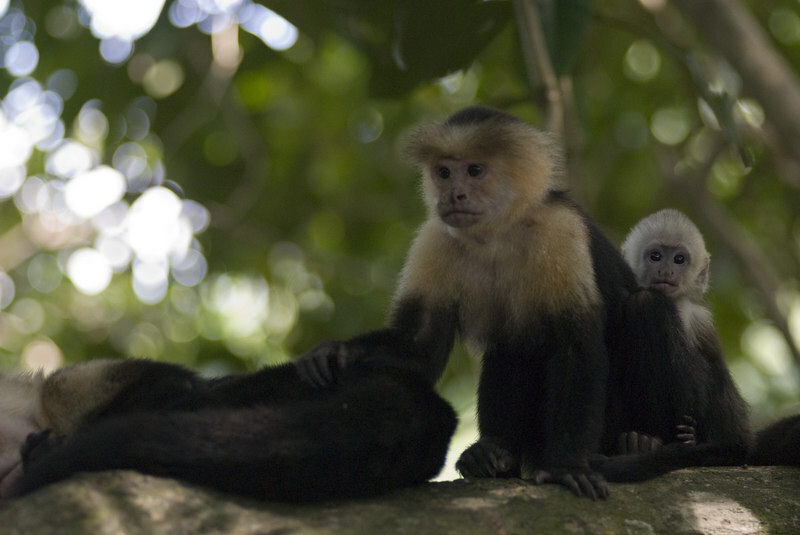 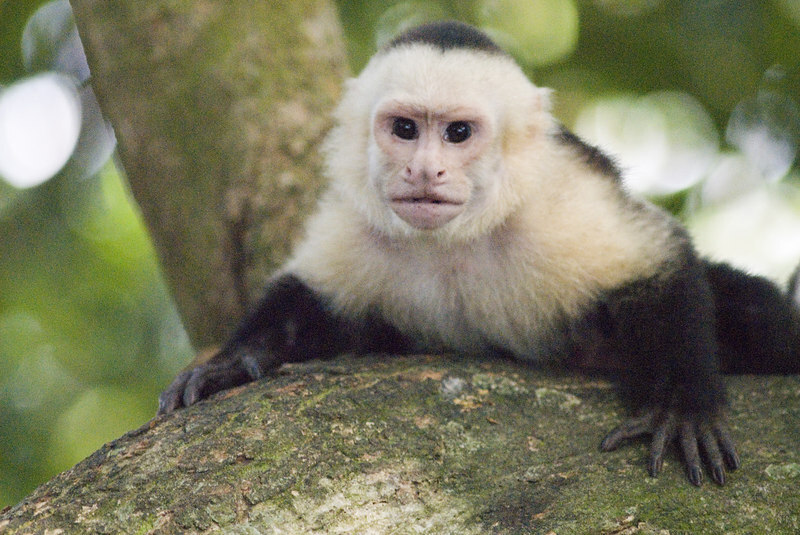 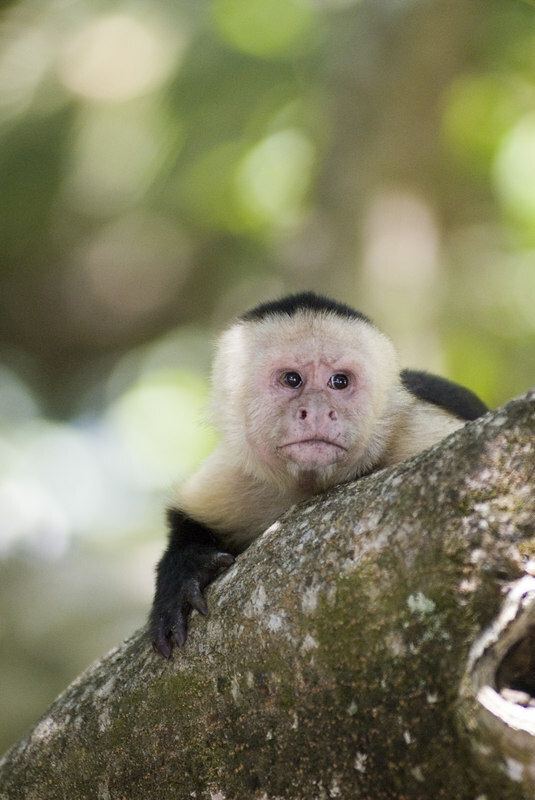 A Capuchin (also known as white faced) monkey in Manuel Antonio Park in Costa Rica, Central America. 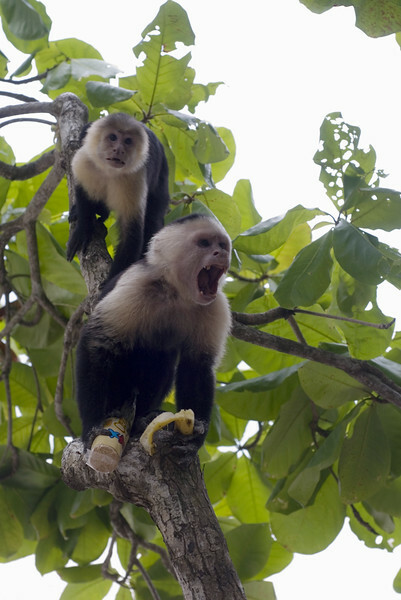 This capuchin monkey is trying to steal food from a tourist on the white sandy beach. 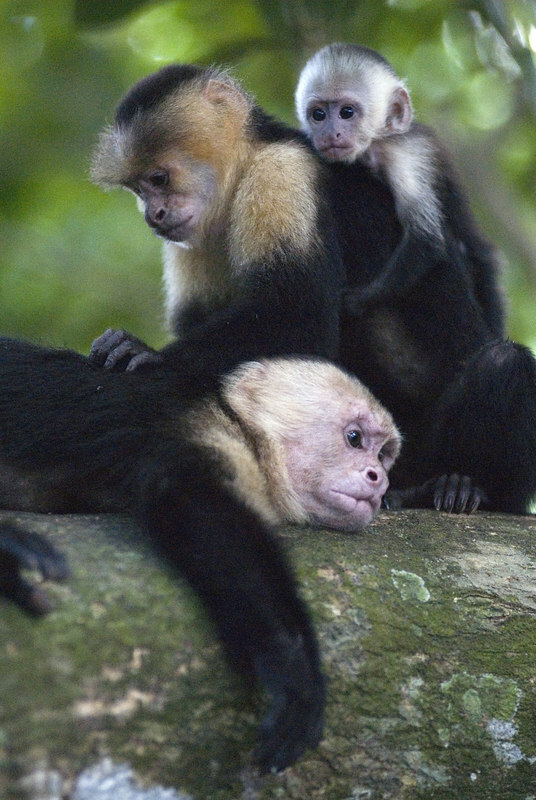 Costa Rican Wildlife photographed by a professional wildlife and nature photographer named Christina Craft. 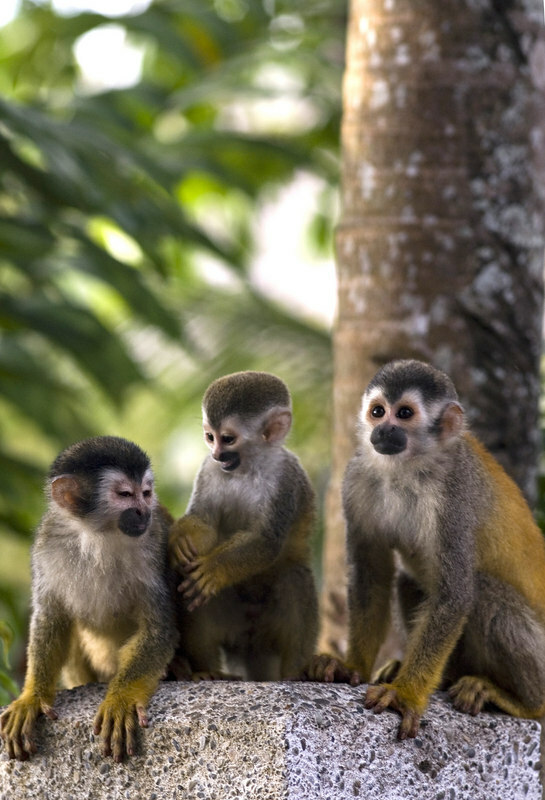 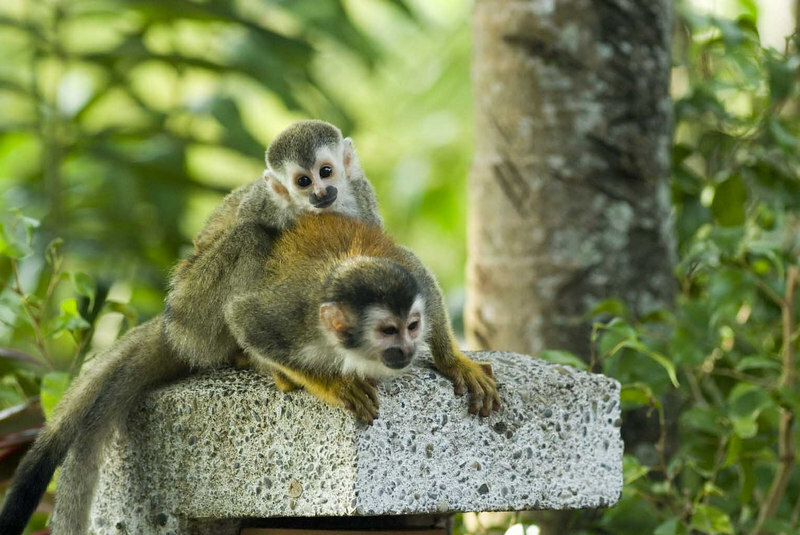 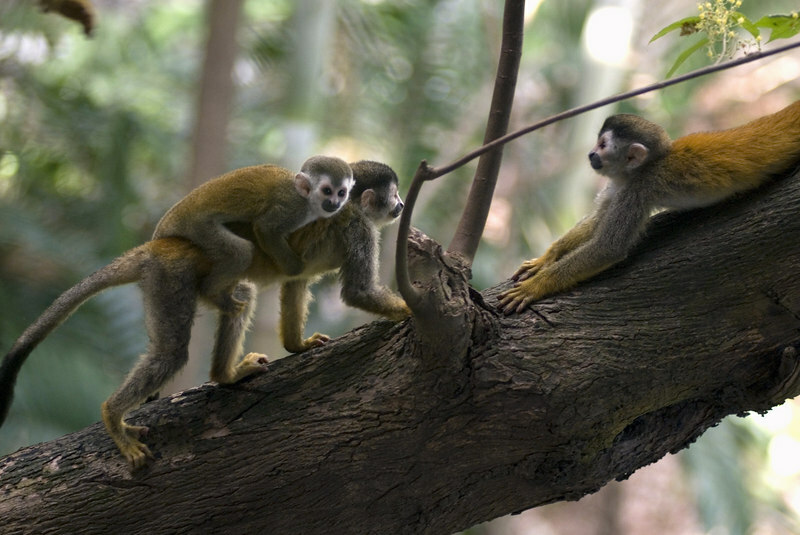 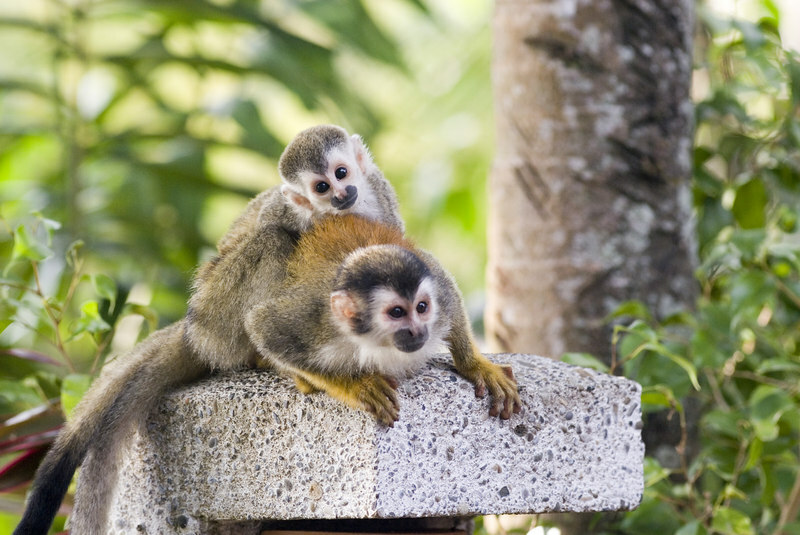 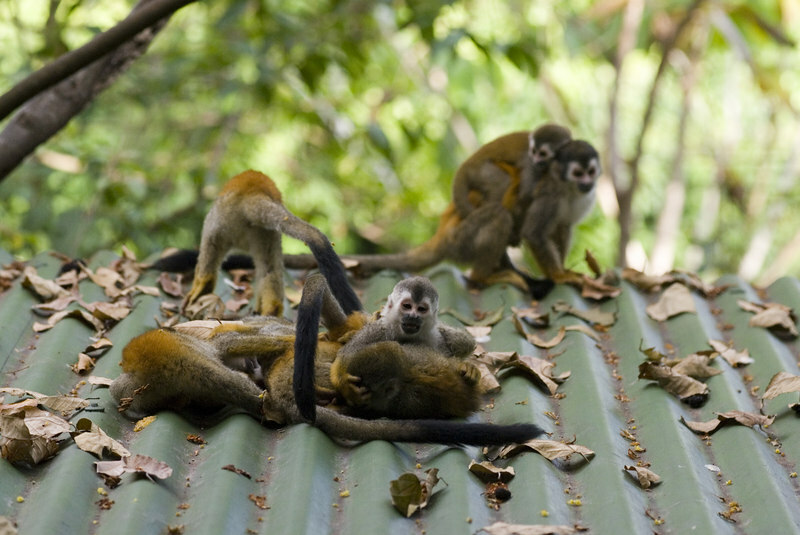 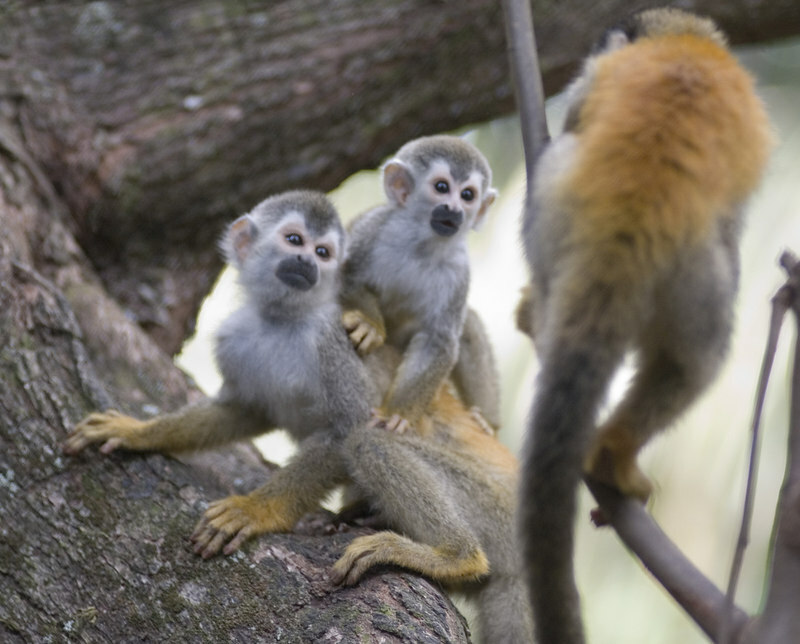 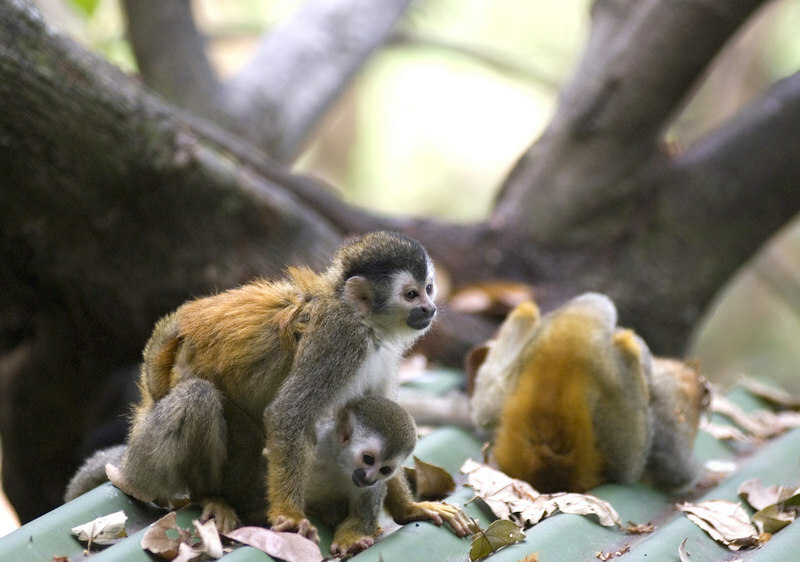 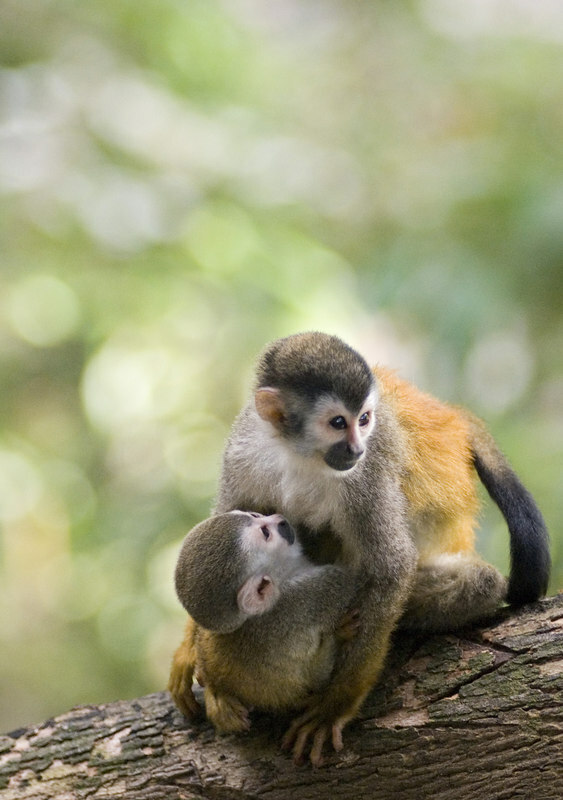 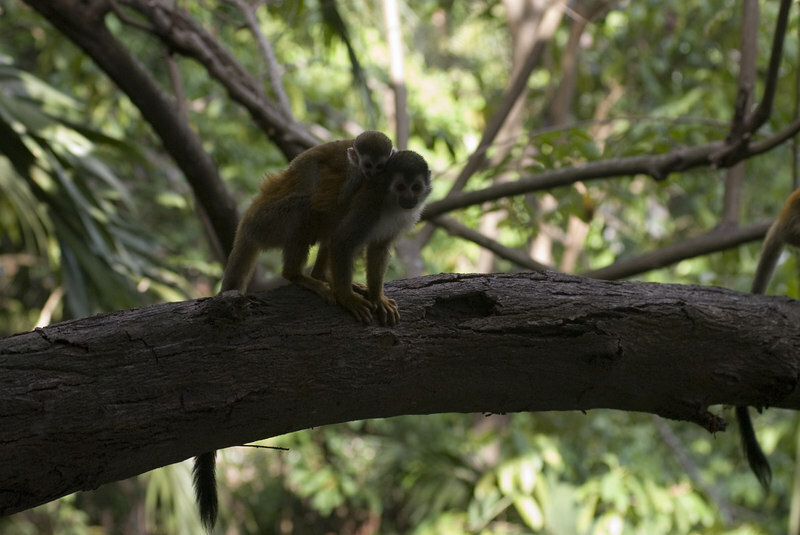 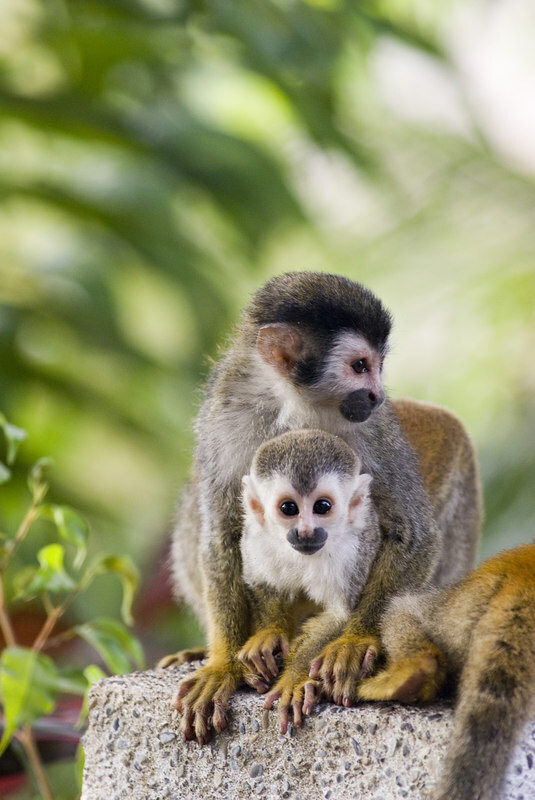 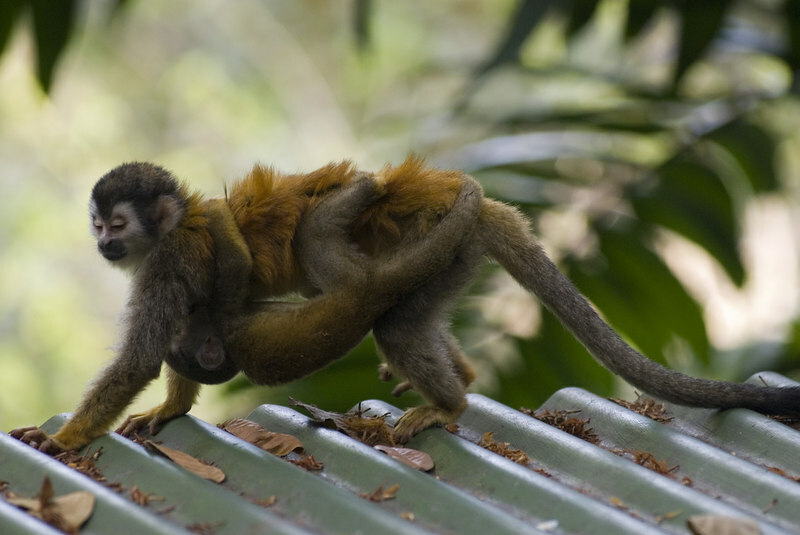 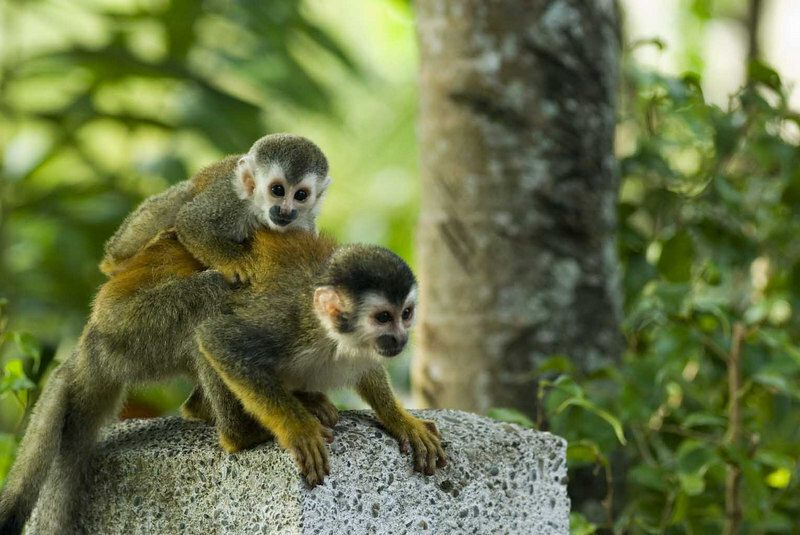 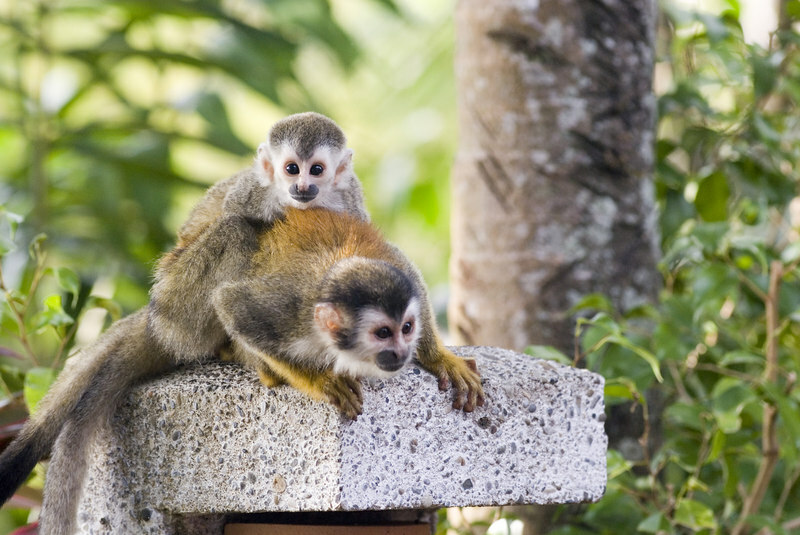 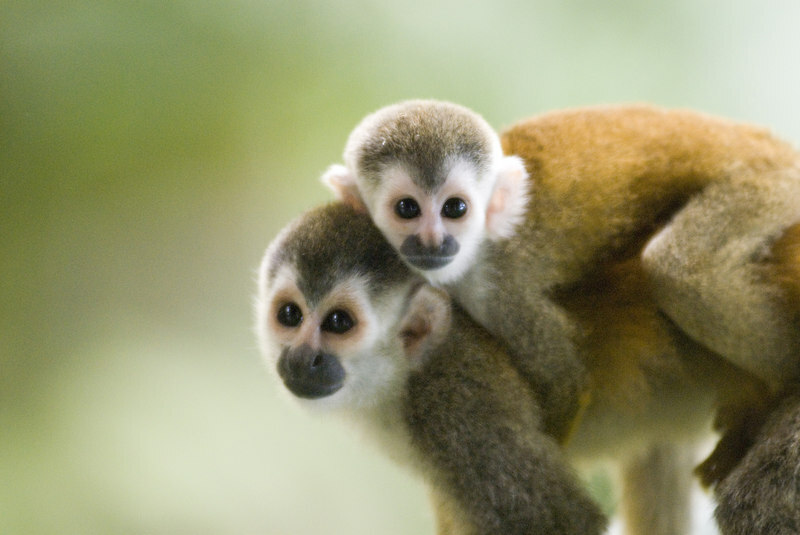 A red backed squirrel monkey with her baby (also called mono titi) at the Costa Verde Hotel in Costa Rica, Central America. 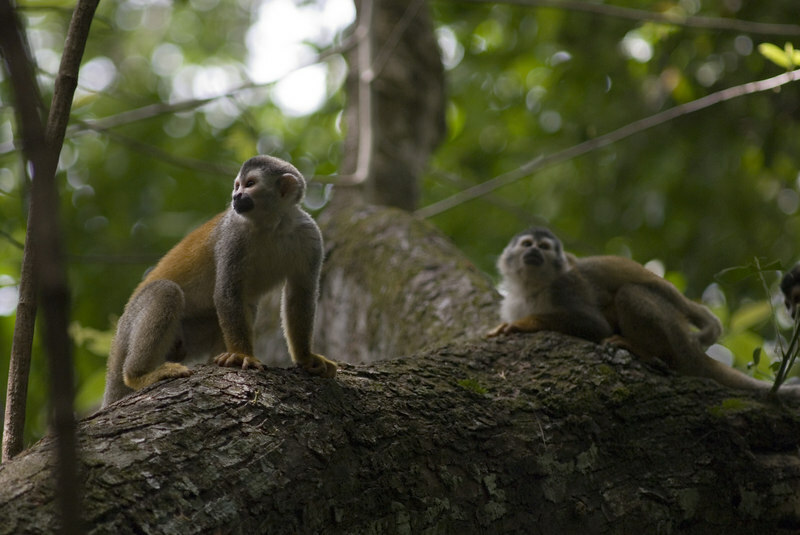 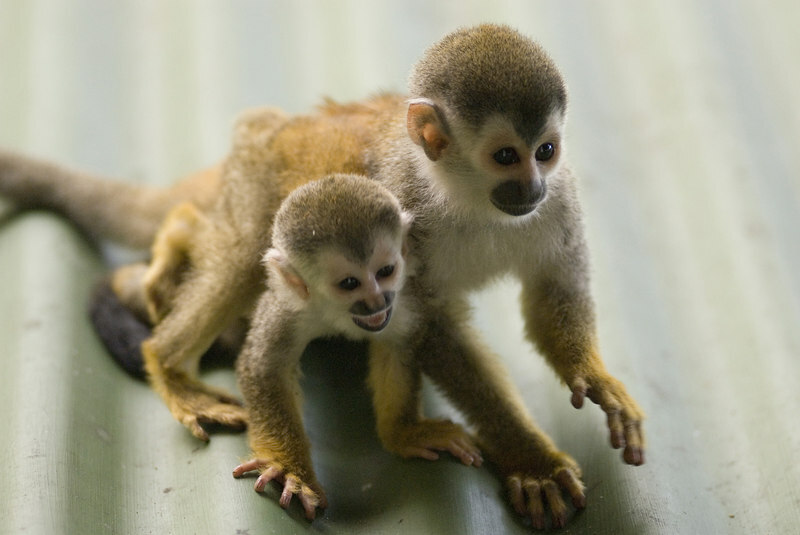 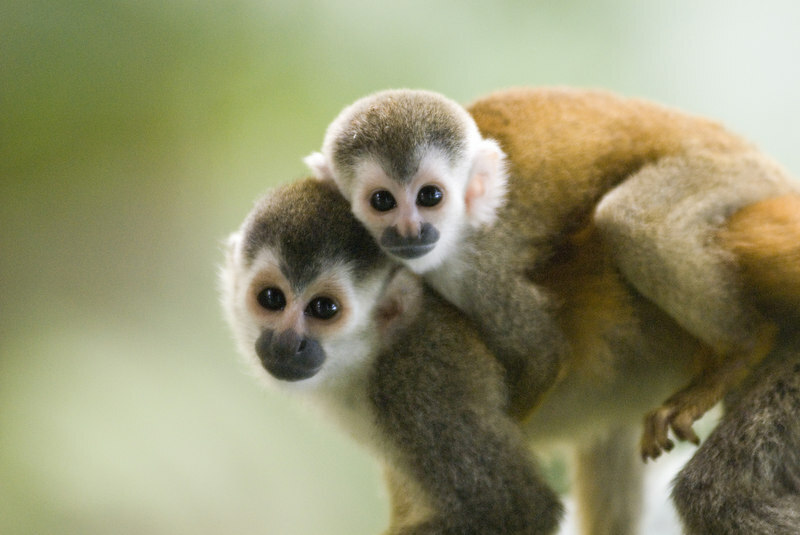 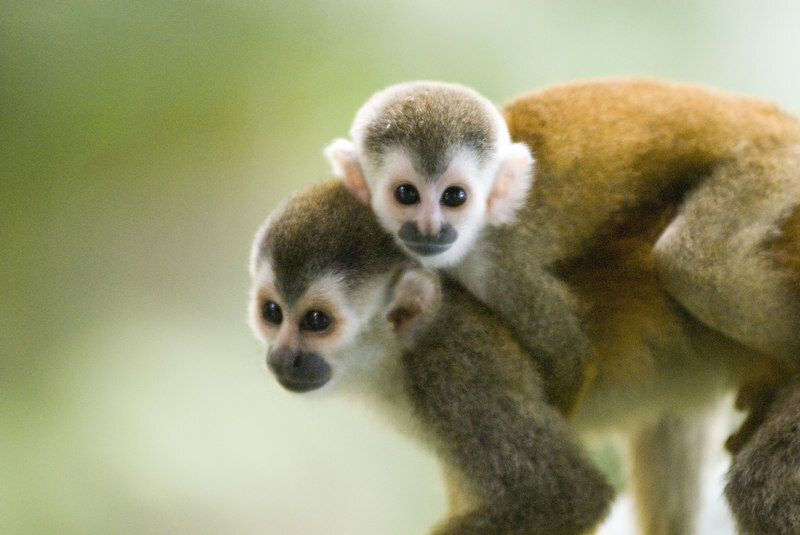 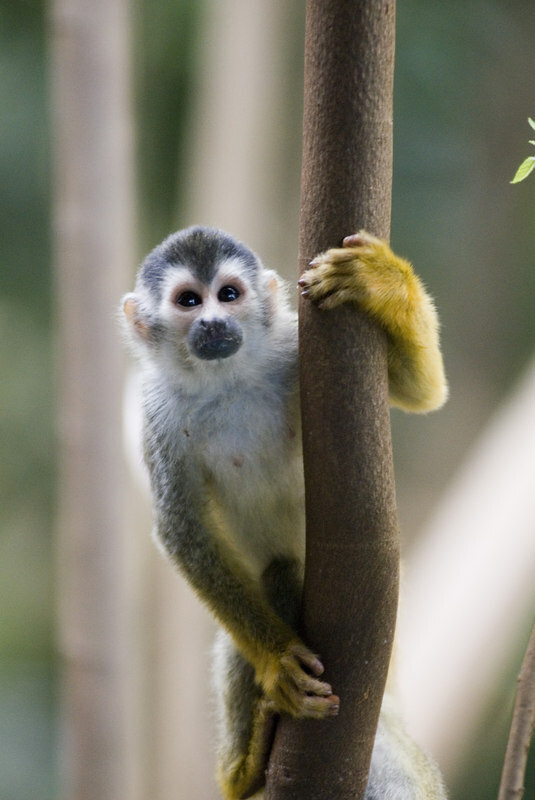 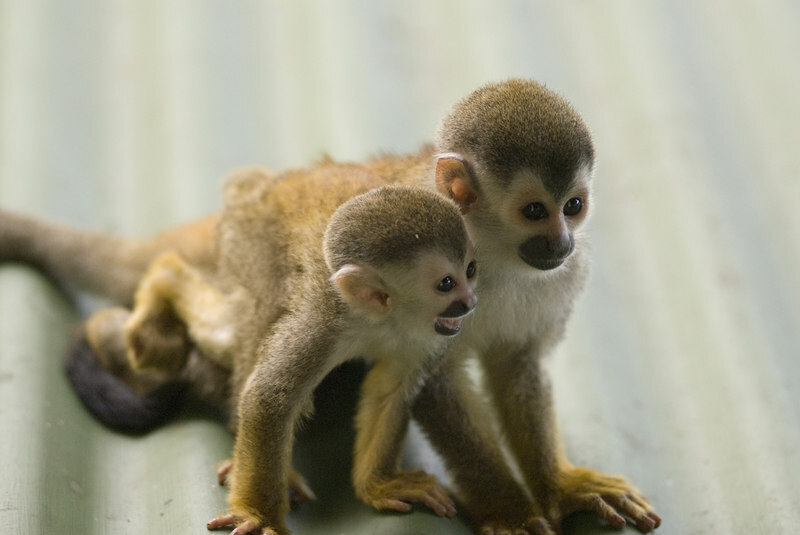 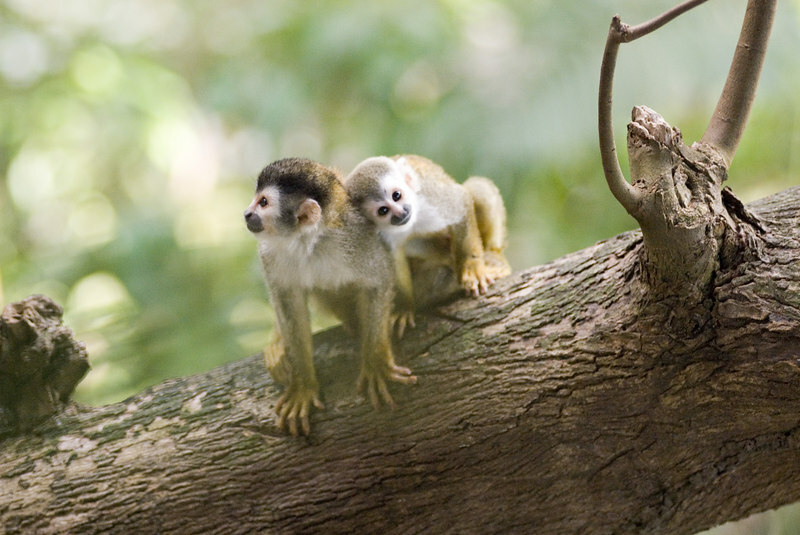 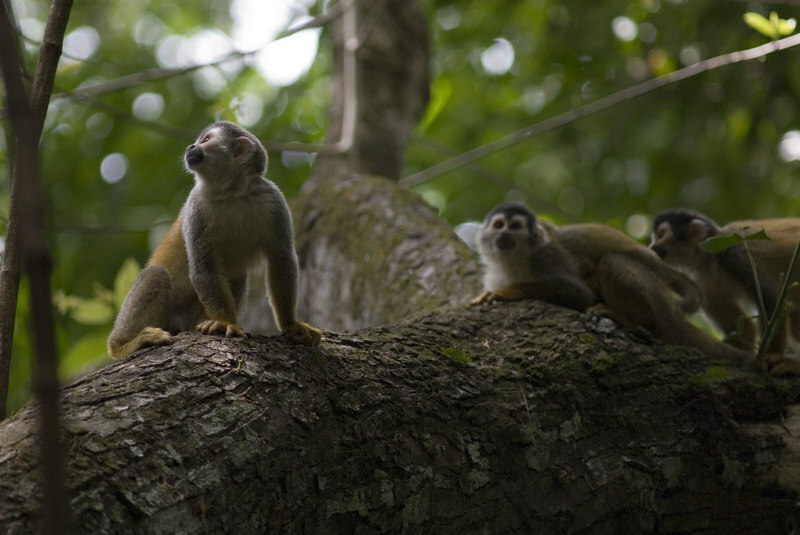 These monkeys are rare and endangered with less than 1,000 left in the world. 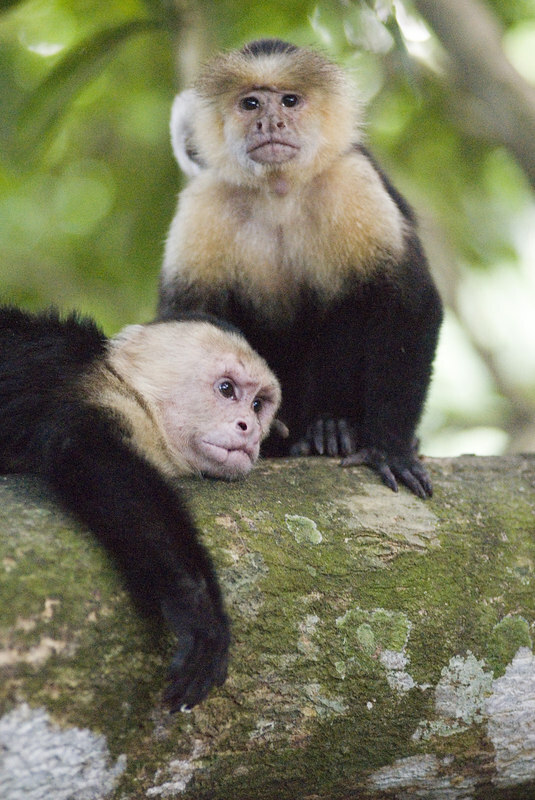 Costa Rican Wildlife photographed by a professional wildlife and nature photographer named Christina Craft. 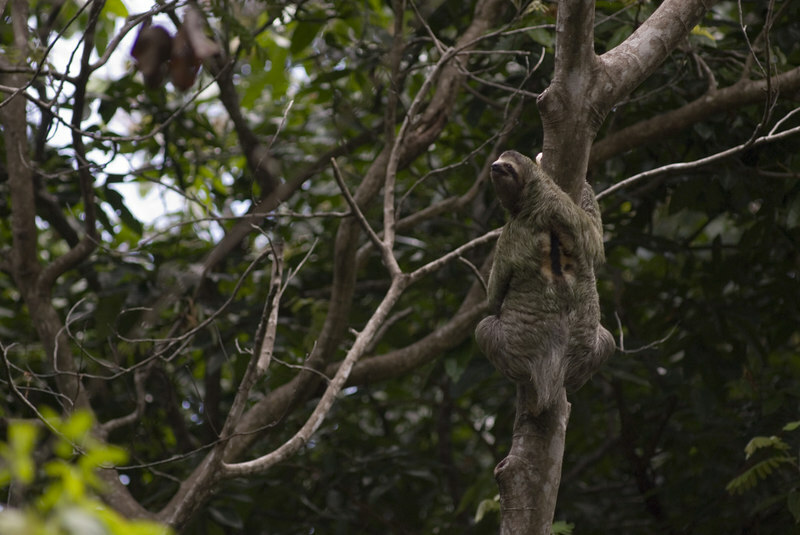 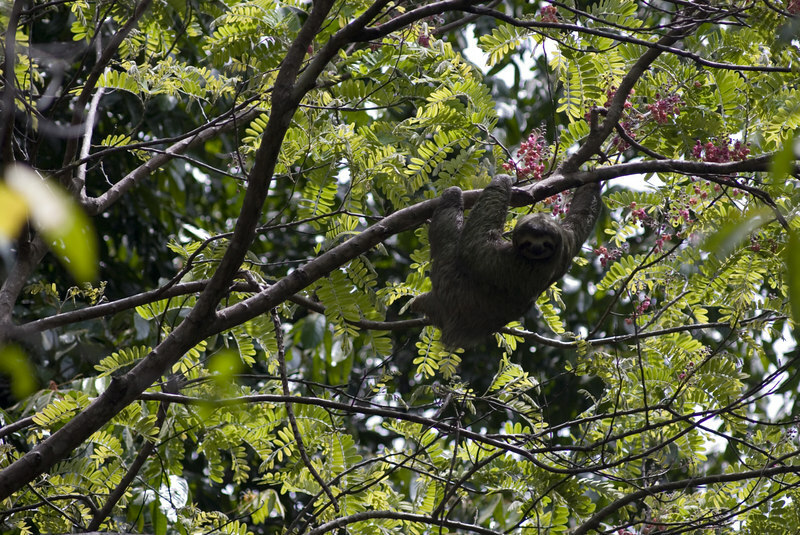 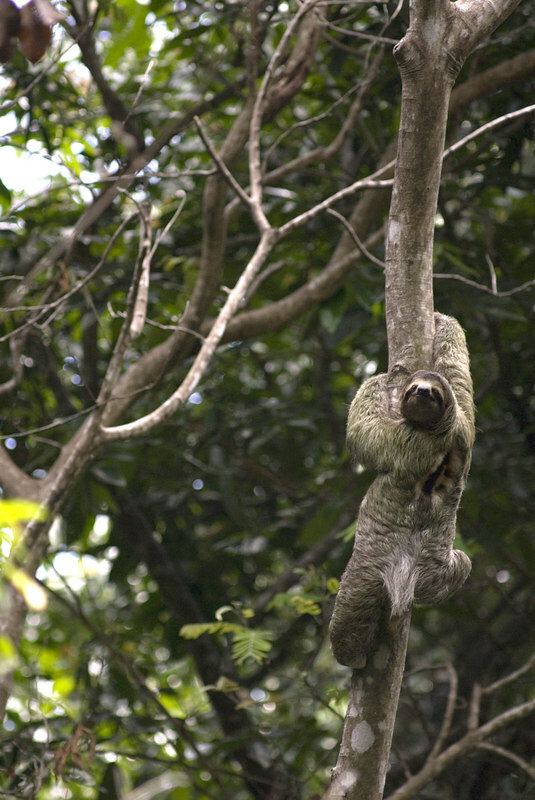 A male sloth climbing a tree in Manuel Antonio Park in Costa Rica. 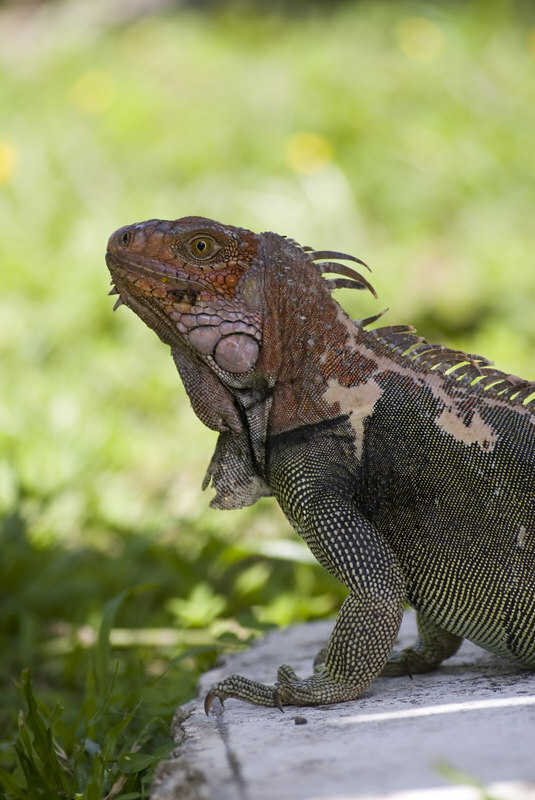 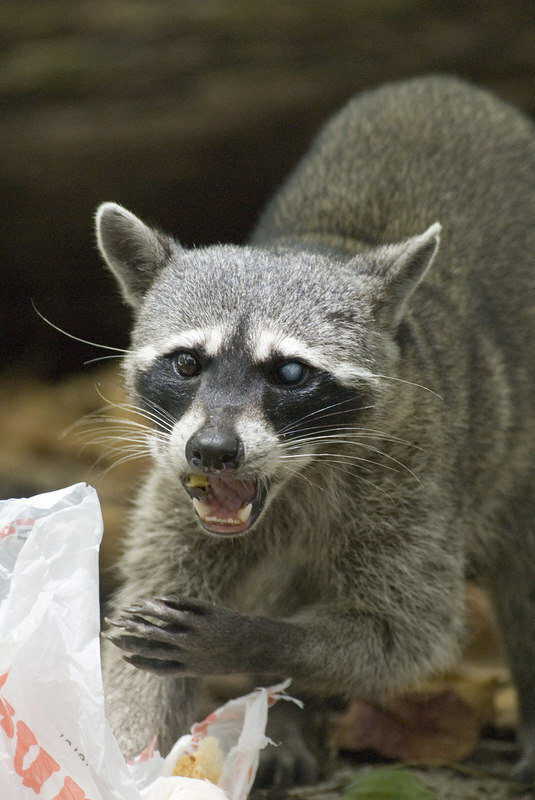 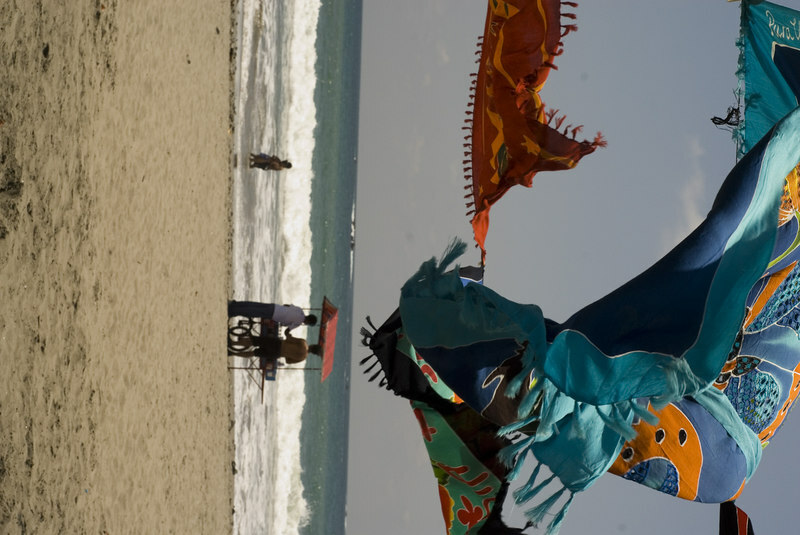 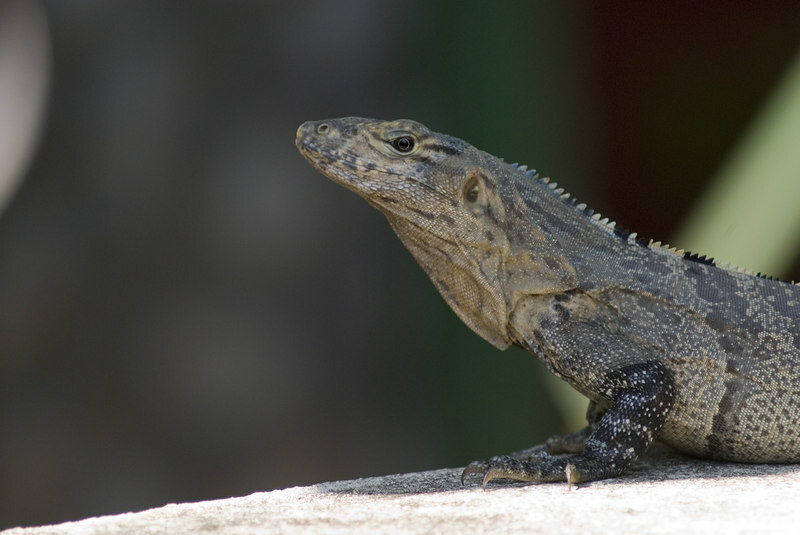 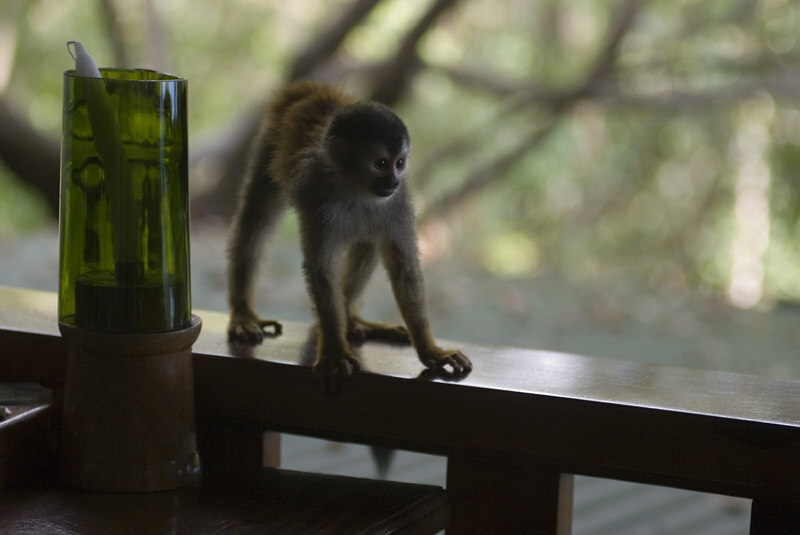 Costa Rican Wildlife photographed by a professional wildlife and nature photographer named Christina Craft.